Heart attacks mostly occur on Mondays. The heart of a woman beats a little bit faster than the heart of a man. The broken heart syndrome -- death from a broken heart -- happens. But it is very, very, rare. More heart attacks happen, because of emotional stress, either anger, anxiety, sadness or grief, on Christmas Eve in the West, than any other time of the year. There are no statistics to show what the parallel day would be in India. In a day, your heart beats about 115,000 times. Laughter is indeed the best medicine and is excellent for your heart, because it takes away stress and uplifts your immune system*. For Dr Ramakanta M Panda, head of Mumbai's respected Asian Heart Institute, who has performed about 25,000 surgeries (4,000 of them high risk) with a impressive 99.6 per cent success, in his long career, the most interesting fact to add to this list above, of what people must know about their heart in India is: Heart disease is not a death sentence. Too often a patient, who has suffered an attack, or is afflicted with lethal heart blockages, feels his life is over. He does not realise life can come back to almost normal with a few critical changes. Too often too, Dr Panda has discovered, Indians feel they are invincible and immune to heart disease and do not think it prudent to lead a heart healthy life right from their youth. Dr Panda, who hails from tiny Damodarpur, a village in Jashpur district, northern Odisha, graduated from the Sriram Chandra Bhanja Medical College, Cuttack, and credits his maternal uncle, a senior armed services physician, for influencing him into becoming a doctor and an article in Life on the legendary cardiac surgeon Dr Denton Cooley for pushing him into the field of cardiac surgery. He did his specialisation at AIIMS, New Delhi, before moving to the US, where he worked for eight years at the Cleveland Clinic, one of the top heart facilities in the world, then and now. In the US and later in the UK, Dr Panda trained under pioneering heart surgeon Dr Floyd Loop and transplant specialist Professor Magdi Yacoub. In 2002, Dr Panda, admirably, did what very few US-based India-origin doctors contemplate. He returned to India and devoted immense time and energy towards starting up a heart hospital to his surgeon-ly specifications. The Asian Heart Institute was born. 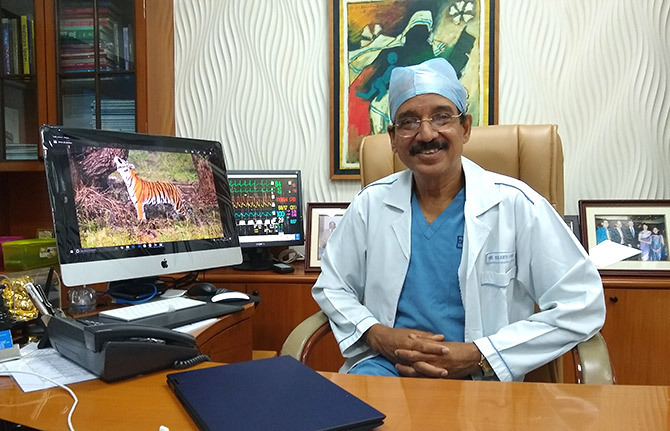 The heart surgeon, who received the Padma Bhushan in 2010 and made headlines in 1995 and 1999 for being one of the country's highest income tax payers, leads a fiercely heart healthy life, gym-ming, practicing yoga and following a diet that is 70 per cent vegetarian and packed with fresh vegetables, fruits and some fish. 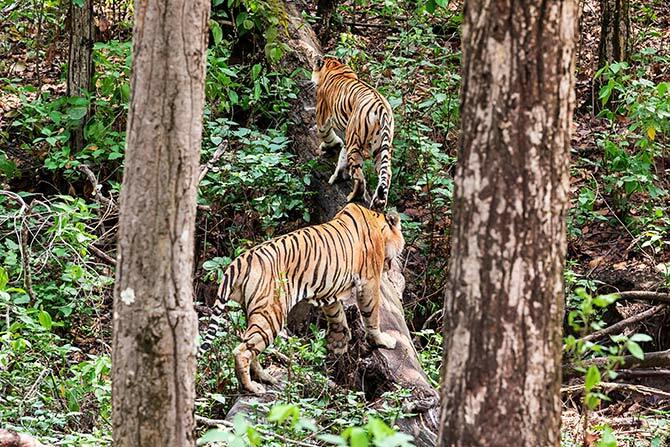 In addition to cooking, Dr Panda has a passion for wildlife photography, which he says is a "stress-buster" and is out every weekend at some jungle location capturing memorable shots of tigers, deer, birds and more. Wildlife, he agrees, are heart healthy till they interact with humans and their lifestyle. What is the reason for the high incidence of heart disease in India, especially among young people? 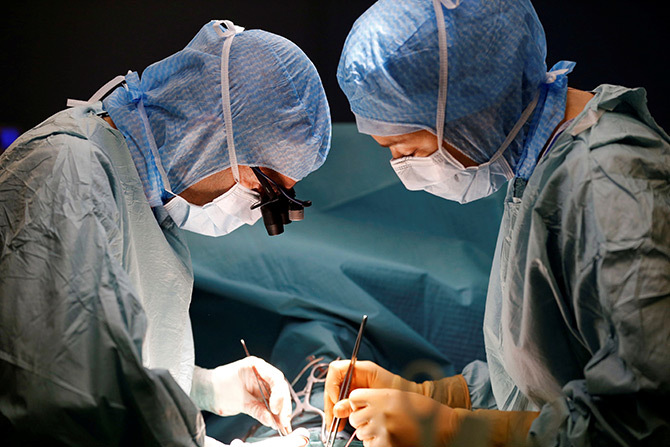 You have seen so many heart cases and operated on them -- what do you believe is the reason? I strongly believe, to a very large extent, it is the lifestyle. When I was in medical college our professors used to teach us that heart disease is a Western problem. It is not an Indian problem. Generally in those days (in India) incidence of heart disease was very, very low. Yes, detection was less. But lack of detection would not (constitute) the reason for the mushrooming of the incidence heart problem (today). Second thing is that when I started 25 years back, in Mumbai, probably once in a year I would see a patient who is below 30 years of age. Today I see, every week, four to five patients, who have got a heart attack and they are in the age group of 20 to 25. It is so common, so common now. It is largely because of lifestyle change. That lifestyle change includes complete lack of exercise or very little exercise. Food habits have changed drastically. The original Indian food habits, if you see, they were very heart healthy. But that completely changed and has been replaced largely with fast food very high in saturated fats, salt and cholesterol. Third, increased use of tobacco and smoking. This leads to obesity and overweight. Overweight leads to diabetes and blood pressure. It is very, very, very common nowadays to have blood pressure in youngsters. Whole lifestyles have drastically changed. Also, very important, is the genetic factor that has come into play. Indians by and large -- again it is more habits than genetics -- our body fat content is much more than the Western population. Western population has much higher muscle mass. And less body fat. So Indians, by constitution, again our muscle mass is less. Fat content is more. Equally important, the fat gets stored in the wrong places, in the abdomen -- visceral fat, liver and all these organs. That is why it is dangerous. These are the reasons why the incidence of heart disease has gone up very much. But what has brought this change on? Is it because earlier, people's budgets were limited? An excess of certain foods was beyond their budgets. Would you connect the increase in incidence to the fact that now people are much more prosperous? Therefore certain types of food are more accessible to them. I remember sugar, ghee, oil were once very expensive compared to people's salaries at that time. Even meat. People were having meat once a week. 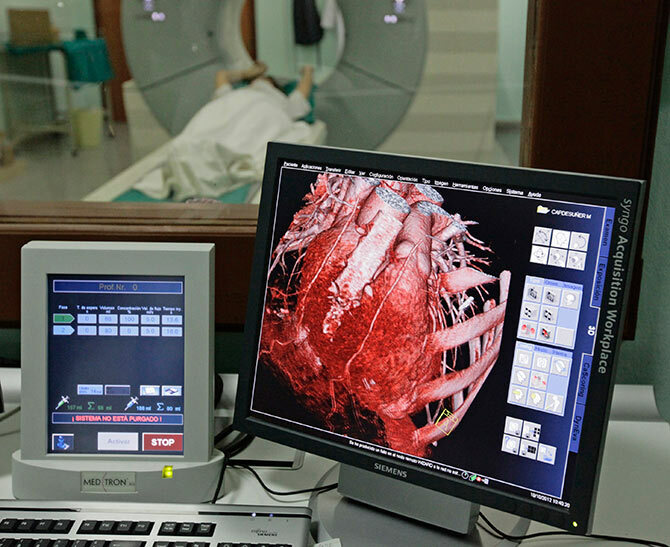 Would you connect the rise in heart problems to increasing prosperity? But the type of food we are eating has changed drastically. We used to eat food that had more complex carbohydrates. Less in refined sugar, less in saturated fat. Those things have changed. We cooked (then) most of our food at home and eat. Today largely that is getting replaced with processed food. Any type of processed food is very bad. It is a combination of all these three things. Yes, prosperity has brought in the type of food that you can afford now, which has more oil, saturated fats, non-vegetarian food. But you also have to understand that almost 80 per cent in my practice, in this part of the country, Gujarat and Rajasthan, all the people are vegetarian. So eating meat and non-veg is not the cause for them. For them, again, the type of food has drastically changed. It has changed from food that was very less in saturated fat and sugar, to a food which is rich in sugar, rich in saturated fat. More processed food. When I say processed food: All those deep fried food which are available off the shelf. Their content is high in trans fat. Trans fat is when you cook the food and it gets converted to a bad fat. That is one of the major causes of heart problems. For the people of Rajasthan, 40 years back their major food was bajra and jawar roti. That is the best form of carbohydrate one can eat, which is called millet. It takes a long time for it to digest, so the sugar levels go (up) very slowly. While today it is all replaced with maida (white flour) food. A lot of fried food. So it is a combination of all the three things -- prosperity brought in with it a high content of food which is sugar, saturated fat, non-vegetarian food. Also, a complete change of food habits from unprocessed, natural food to food which is very high refined and high in saturated fat and salt. 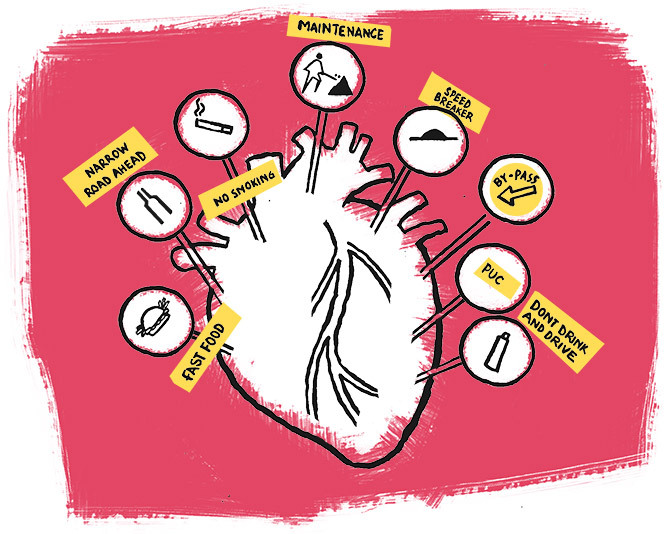 In your view, what is the biggest myth about heart surgery or about taking care of one's heart, that you encounter in your daily work with your patients? What is the thing that people just don't understand? One general biggest myth, which again contributes to the heart problem, is that everyone thinks that he or she is not going to get a heart problem. They think the other person is going to get the heart problem. So they lead a heart unhealthy life. Secondly, that heart disease, once it happens, people think that their life has ended, which is not true anymore. Thirty to 40 years back for someone having a heart problem, the family would say 'Don't touch this, sit in one place, don't walk'. The life was that of -- what we used to call -- a heart cripple. Crippled because of a heart problem. Today, still people think that way. Day in, and day out, I see the person is coming like that, holding his chest, like something will happen to his heart, like his heart is going to stop any moment. His family and everyone (telling him): 'Don't walk. Sit in one place'. This is the biggest myth. Today heart care has improved so much. If you (undergo) proper treatment, and also lead a heart healthy lifestyle, you can almost lead a normal life. To the extent that, every year, as an example, we train 100 of our heart patients, who have undergone angioplasty or bypass, to run the Mumbai Marathon. And their average time is better than the average Mumbaikar, because they practice for six months. So that is the biggest myth: That heart disease means it is a death sentence. One can lead a normal life and can even lead a better quality of life if they change their lifestyle and (undergo) proper treatment. 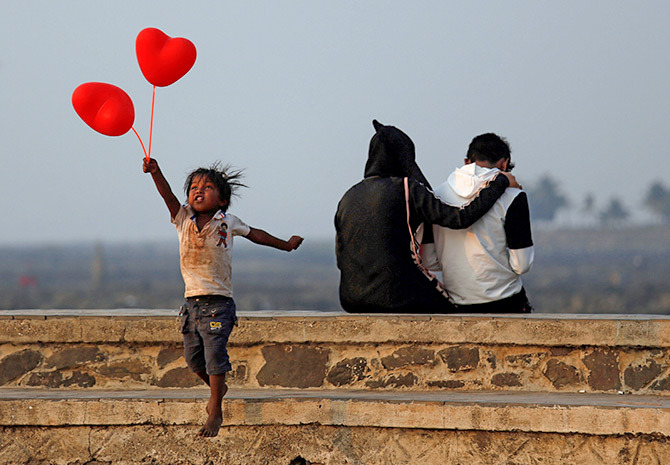 What is it that an average urban Indian, who is reasonably aware of heart illness and heart surgery, needs to do from a younger age to protect his/her heart? What should one do in one's 20s and then 30s and then 40s etc? When does one need to go for one's first ECG, stress test? What are the symptoms they should look out for so they don't land up a heart patient? The first question is very important -- what someone should do. Now the whole concept, all over the world, has changed from managing heart disease to managing heart health, because no country can afford heart problems. Even in the US, (one of the) richest countries in the world, 30 per cent patients not covered till now. So nobody can afford once there is heart disease. So the best thing is to manage heart disease, before it happens. Heart disease starts when a person is in their teens -- 10 to 15 years of age. So once you start leading that (unhealthy heart) lifestyle, it takes 20 to 30 years -- it happens slowly -- the cholesterol starts getting deposited at one point and the artery becomes choked. It is very important to have a heart healthy lifestyle. You have to lead it from when you are young. Again, there are three or four things they must do. One, they must build an active physical lifestyle. All of them should do some form of exercise. Today, everybody is on the computer, everybody on the mobile. All their spare time they are only working or playing on a computer/mobile, on social media. There is very less physical activity. They must build in some amount of active physical lifestyle in terms of sport or something they must do from a very young age. The treatment most effective in reducing heart disease is exercise, whatever way -- they can go and play, whatever sports they like or they do some sort of exercise, it is very, very, important. Number 2, building in activity into your day-to-day lifestyle. In office, don't take the elevator. Three or four floors just climb up every day. That is extremely good. If you are going for a very short distance, half a kilometre, just walk on the road. Don't take a car. So try to build in as much physical activity into your day-to-day activity. It is very important. Next is food habits. Try to build in more natural food rather than refined food and processed food. At least five or six days a week, they should build in what we earlier used to do 30 or 40 years back in India and get food in the raw format and cook whatever way -- whether it is rice, chapatti, sabzi -- everything should be as much unprocessed as possible, cook it and do. Don't make those readymade pastas, everything is available readymade. That one should avoid as much as possible. Any food that is in the natural format. Occasionally, once in a week one can go and indulge. These two or three things are most important. Third thing, avoid tobacco and smoking. One of the most dangerous (things) for both cancer and heart disease. You have to also reduce weight and stress. Stress is part of life. You cannot avoid stress. Continuous stress over a very long time is very harmful. What is exactly stress? What is your definition of stress? Anxiety? Stress is again a very individual response. The same type of situation given to ten people, eight may react in a very adverse way, two may not get affected. The second thing is the reaction to stress. And stress being continuous over a very long time. Stress is normal. It is a part of evolution. You have to understand that human beings never evolved to stay in a house. We all evolved just like animals. There is something called a fight-or-flight response. If something is going to kill you, either you fight and try to save yourself or you run and climb up a tree and be safe from an animal that is going to kill you. See that response is still there... We use that response for day-to-day situations -- you get upset, you get very angry, that is again a flight response. The stress hormones in the body accumulate. The whole role of stress hormones is to increase the blood supply to your brain and to your body so that you run or fight and have more strength. Stress is good for a short period... it constricts the arteries in the body so that more blood supply goes to the muscles and it makes the heart run faster. The more blood distributed to the whole body, you can fight with the animal, climb up the trees. Now that situation is gone. You fight with your colleague and get upset in office. Occasionally is not a problem. It is the way the human being is built. Nothing happens. Try to lose weight. Make sure you are not overweight. Unfortunately that so-called BMI (body-mass index) of 25, set by Westerners, does not apply to Indians. At 25 (BMI), half of all Indians are fat. Our BMI should be somewhere around 18 or 20. Again that is individual. Somebody who does physical activity, does gym, has no body fat, for him 25 is okay. Somebody who has no physical activity for him even 20 or 21 is on the higher side. So try to avoid fat. So what you are basically saying is that there is not much difference between what you should do in your 20s and 30s and what you need to do in your 40s and later? You should start doing while you are in your teens. It is very important. At what age should one look at doing a stress test or an ECG, even if one has no cardiac complaint? You should look at whether you have a lot of risk factors. If that is true, then the person has a higher chance. That is: Use of tobacco, smoking, diabetes, blood pressure, very high cholesterol, very strong family history, very high level of stress or obesity. If these five, seven, eight factors are there, then one should try to do these tests earlier. (That is) if somebody has multiple factors. If you have one factor still you can do (the testing) at the age of 30 or 35. Suppose you have a whole family who has heart problems. Or if two family members have a heart problem. You have diabetes and blood pressure in the family. You are already overweight. Your cholesterol level is 300, then you better start doing it in the 20s. On the other hand if you have no risk factor whatsoever, leading a very healthy lifestyle, it is okay and you don't need to do these tests early. Apart from what you said about building in some physical exercise into your daily routine, climbing stairs etc, what is the minimum exercise that one needs to really do to stay heart healthy? You have to do two types of exercise. One is your aerobic exercise, which builds cardiac fitness. The other is some muscle training. Whatever you eat, the maximum amount of energy in the body is consumed by the muscles, not the fat. So both types of exercise are important. For aerobic you can do any kind of exercise -- you can do cycling, swimming, running, walking, cross trainer whatever. One should do at least 30 minutes. You should do five minutes to warm up. You should not straight away start running. Allow the body to warm up. Twenty minutes of minimum exercise. Third thing, at the end of 20 minutes of actual exercise allow the body five minutes to slowly come down from the exercise levels. Roughly 30 minutes. Duration is also important. At the same time there is also something called target heart rate. Target heart rate is usually 220 minus the age of the person. Supposing the person is 30, the target heart rate for that person is 220 minus 30 so 190. Otherwise, if possible try to kept it at 85 per cent and above during that 20 minutes. This is for aerobic exercise? Every day. At least five to six days a week. We can allow the body to rest one day in the week to allow the body to recover. Don't do all seven days. Second thing is your weight training. Weight training one should do on alternate days. Not every day. Again. allow the body muscles to recover for 24 hours. DON'T MISS PART 2 of this important interview next week! Ghee, butter, cheese, eggs: Yes! Sugar: NO!